Frankly, it has been a while since any of us on the DiscoverKL team had spent a day at a theme park. That was, until the team at Sunway Lost World Of Tambun had graciously hosted us for a 2-day adventure at the acclaimed park. 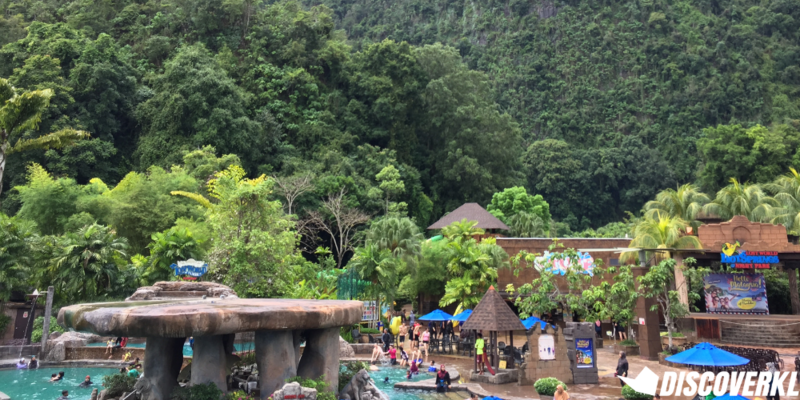 Lost World of Tambun is Ipoh’s very own version of a Sunway Lagoon (except far more epic) and we clearly had high expectations for it. 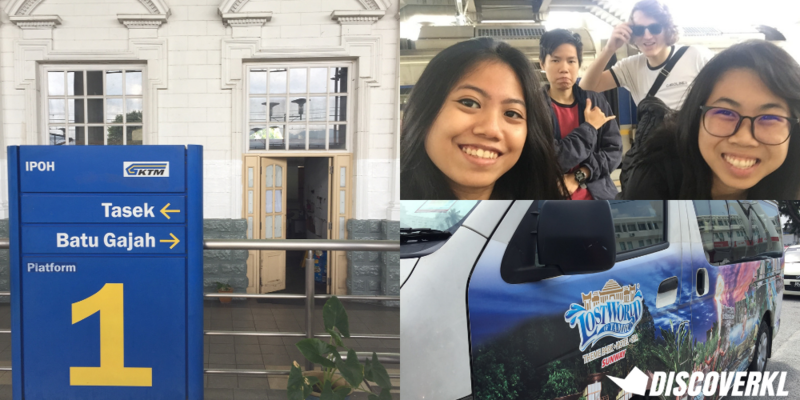 We took the ETS down to Ipoh and it was a hiccup-free 3-hour journey. As soon as we arrived, our shuttle bus driver greeted us with a “Welcome DiscoverKL” sign. 20 minutes later, we finally arrived at our final destination of the day: Sunway Lost World Of Tambun! As we entered the theme park, we hopped on our personal buggy ride. We zoomed past on the buggy and got a glimpse of what to expect from the park. Living up to its name of Lost World, we soon found that the whole park is surrounded with limestones and is built within an actual jungle! It reminds me of Jurrasic park (sans any scary dinosaurs, of course). 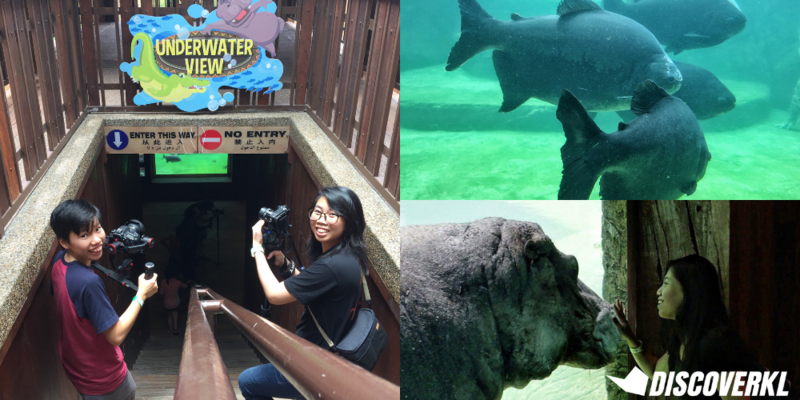 For the first stop in our journey, hosts Bella and Firdaus brought us to the Hippo Kingdom. We quickly realised that the park doesn’t just pay homage to the hippo – there were even hyenas, crocodiles, deers and more. By taking a flight of stairs to their underground viewing area, you’d be introduced to Juwita the Hippo as she gracefully takes her mid-morning slumber…underwater. Here’s a fun fact about hippos: they take naps underwater and can hold their breath for up to 6 minutes. After 6 minutes, they’ll resurface (sometimes, hippos remain asleep even as they resurface to take a breath). When Juwita was awake, she was really patient with the guests and enjoyed interacting with them. We even had the opportunity to feed her a bunch of unpeeled bananas. Next to her “sanctuary”, you’d have the opportunity to get up close and personal with the Spotted Hyenas. The hyenas are curious animals by nature and they paced back and forth, observing us with their inquisitive eyes. 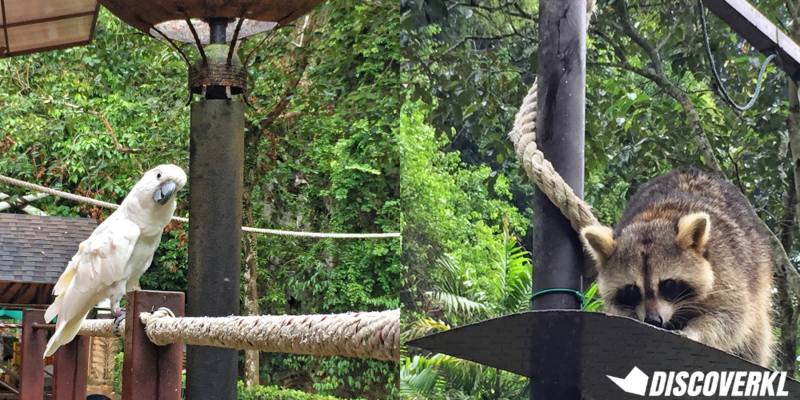 Rosie and Hunky are 3 year-old hyenas and they were raised at Lost World of Tambun since cubs. It was interesting to see the hyenas being affectionate with one another with their gentle head nudges. This just goes to show that these “land vultures” don’t just feed on carcasses like they are often shown to be doing in movies. Lion King, anyone? These creatures can be loving with one another as well, especially when unprovoked. The hyena’s diet consists on raw chickens and we got to observe the creatures feeding on the protein. After a good time interacting with the animals by feeding them, it was our turn to be fed. 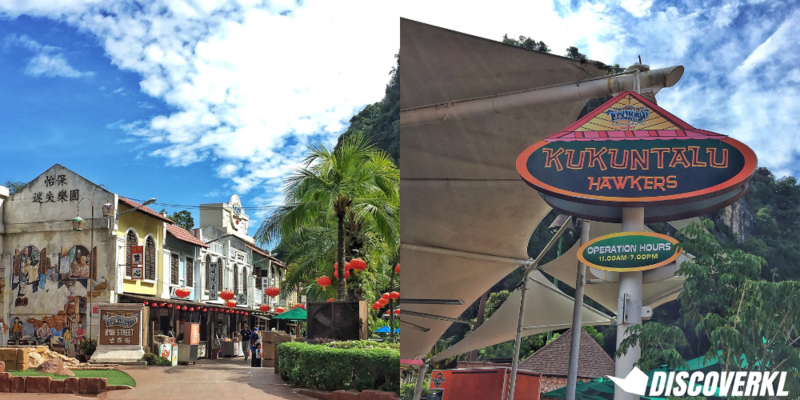 Here at Lost World of Tambun, there are 2 eateries that you should check out. One of ’em is Ipoh Street. An exact replica of what the real Ipoh town buildings look like, if you fancy yourself a meal of Chinese cuisine, then this is where you should head to. However, if you’re stumped on what to have, then pay Kukuntalu Hawkers a visit as they have a wider variety of food for you to choose from. You can get nasi ayam penyet, pasembur, chicken rice and even mini hamburgers here. Once we have had our fuel, we decided to burn off the carbs by having an equivalent of a gym session: the Haunted Chambers. The house features all our local ghouls that we have grown up listening about in stories. Remember the old folklore stories that our parents have told us as kids keeping us up most nights? This is all of that and more. We embraced one another as we faced the spooky nenek kebayan, pontianak, pocong and many more scary entities in this house of horror. The atmosphere of this house felt spine-chilling and it was absolutely surreal as there were changes in smell and horror sound effects. It’s a 10/10 from us on the scare factor! After our mid-afternoon scare at the Haunted House, the weather went from scorching hot to a sudden downpour, but that did not stop us from exploring. Next on our itinerary, we went to watch the Tiger and Friends show that featured talented birds and racoons doing tricks that mesmerised the crowd. 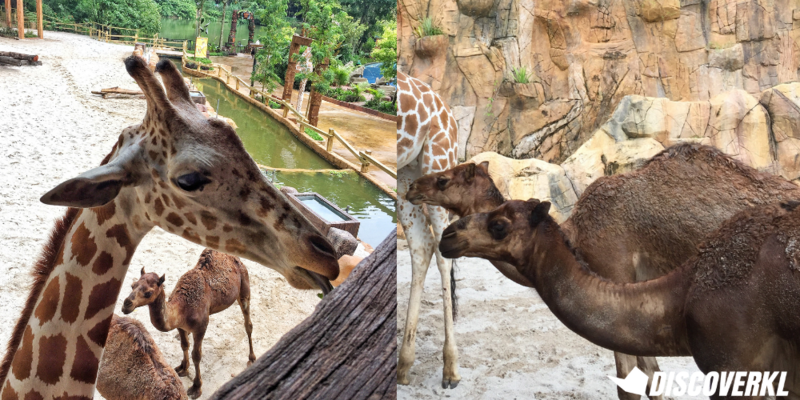 It was such a sight to see these adorable creatures up close, and lucky for us, we even had the chance to pet them! 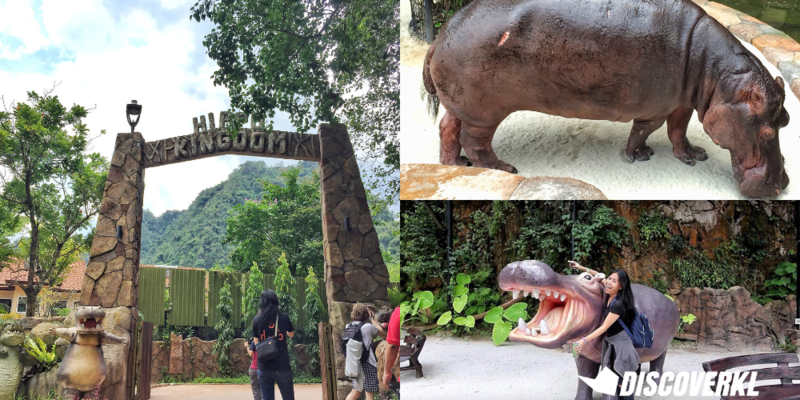 We were amazed at the fact that the theme park was able to contain so many different kinds of animals! Moving forward, we visited Catopia where all the furry felines were. 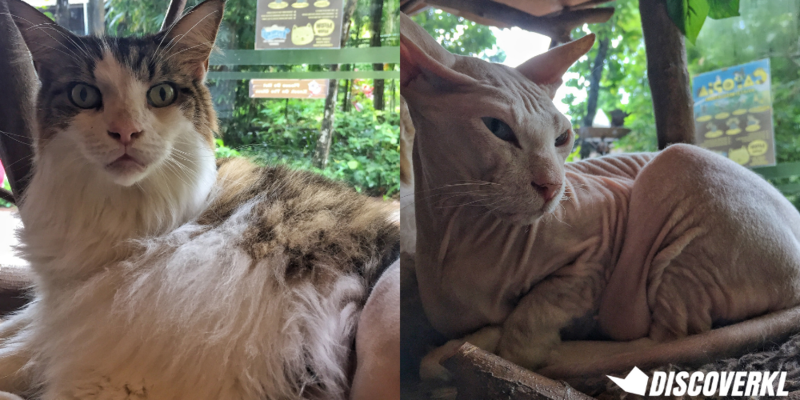 We even managed to see the sphynx cat, also known as the evil gremlin from the famous franchise of Cats & Dogs. 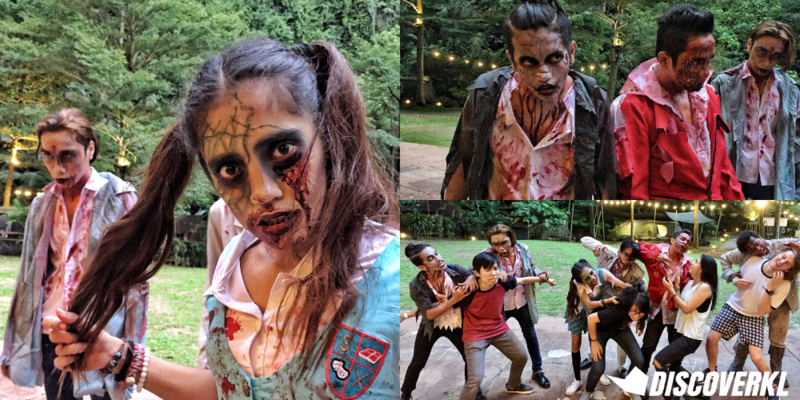 After what felt like a therapeutic session at Catopia, we were surprised by a bunch of zombies! It felt out of place and we clearly did not anticipate them. Firdaus and Bella mentioned that the performance is actually in line with Sunway Lost World Of Tambun’s Halloween celebration. 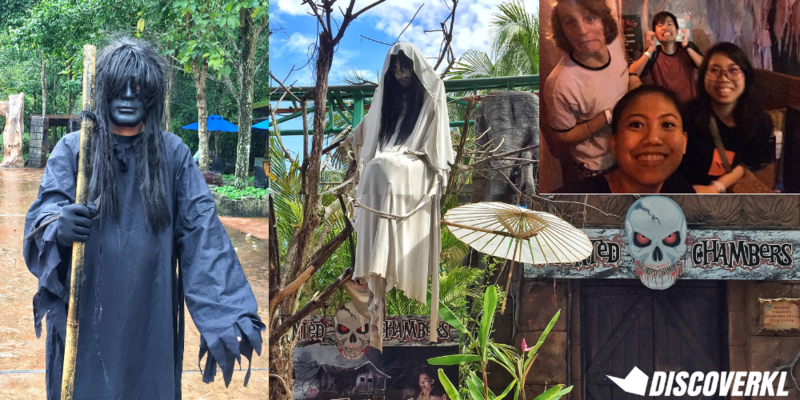 We didn’t think we could handle another scare after the pontianak incident at the Haunted House, but by golly, this was amazing! Not long later, these terrifying zombies with their on point makeup began dancing and we grooved alongside them. What an experience! We would never have expected to dance with zombies but we can happily say that we now have. 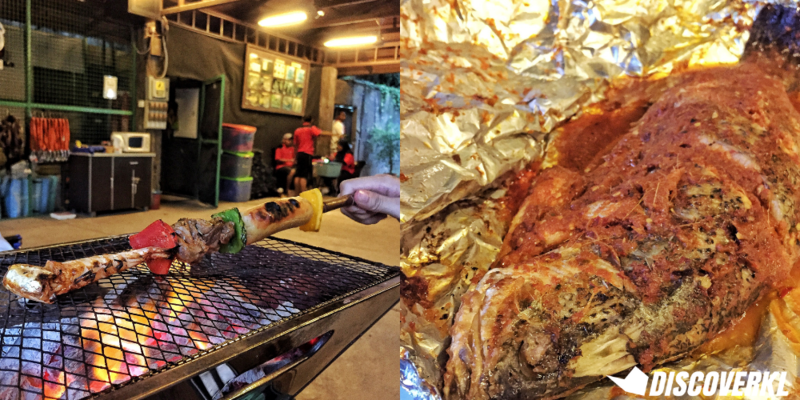 Our lovely hosts held a special barbeque night just for us and we managed to feast on a variety of different foods that were grilled on the charcoal grill. 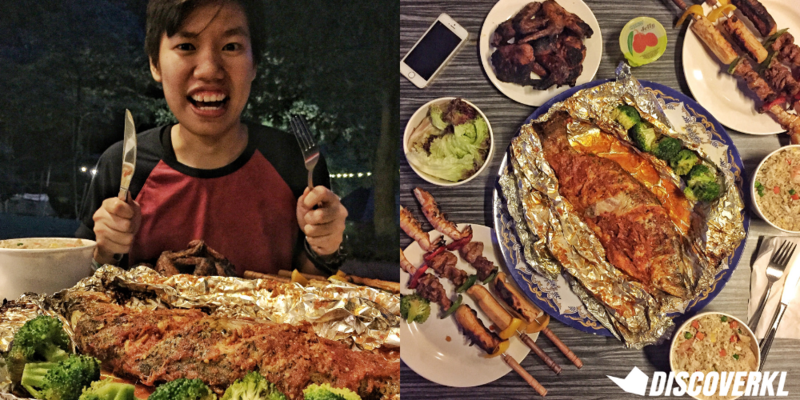 The meal was beyond good and we had a bunch of skewered meats, spicy grilled fish, salad, fried rice and grilled chicken wings! We were spoilt with all the food and went to bed that night, satisfied and with full tummies. By the time it got dark, we decided to explore the Luminous Forest. We chanced upon this pretty forest during the day, but as it was only open at night, we came back when the sun had set. 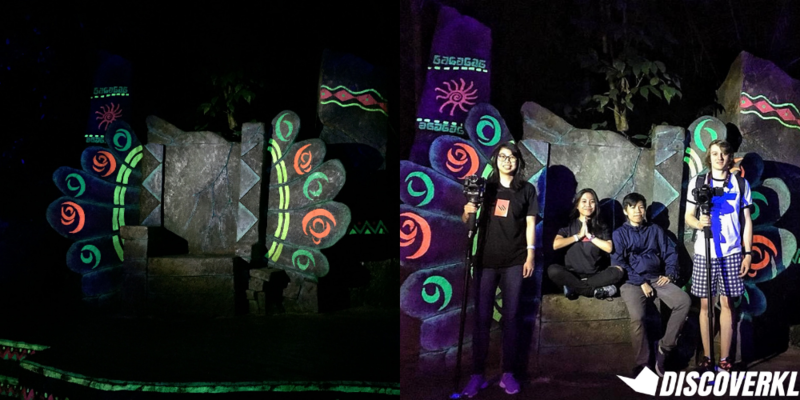 The Luminous Forest happens to be one of the featured attractions you need to visit if you’re at the Lost World of Tambun. As we explored this mystical forest, walking on the Bridge of Luminosa, we quickly understood why it is only open during the night. Just like its name suggests, the entire forest was lit with beautiful lights all around. As you enter, you’d stumble upon Mother Sophea, who is a similar talking tree like the one in Disney’s Pocahontas. 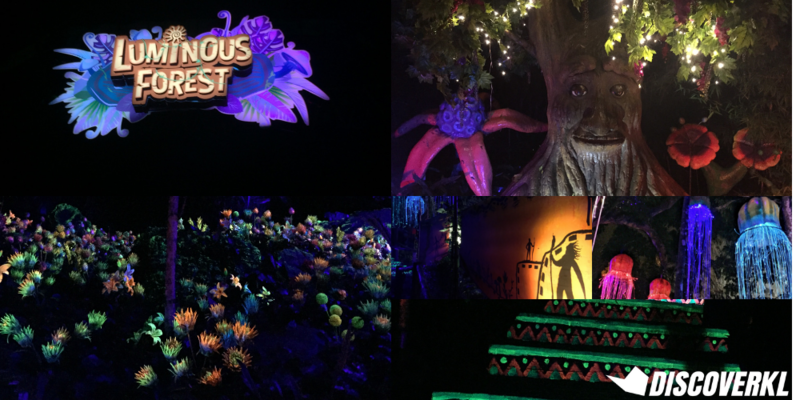 Without a doubt, this whole theme park gives us a feel of 2 different worlds: the first being Pocahantas, and the 2nd being Avatar. All that was missing was Jake, the blue Avatar. As you explore deeper into the forest, you’d find that it tells the story of the Malayana family. If you are intrigued about the story, then you’d best drop by and experience it for yourself. An absolutely perfect location for you to take great pictures, they even have a throne that lets you play royalty. After a peaceful stroll in the forest, we enjoyed the fire breathers’ epic Fire Percussion performance. Cool tribe music was playing in the background and the entire vibe was intense. The guests were clapping and screaming their hearts out (it can get quite loud and intense, especially for young kids). It felt like we were in a Lilo & Stitch movie where David was doing his fire breathing act in front of us and we were legit blown away. Tip: To enjoy the performance best, have a seat in the front row as that’s where you’ll really experience the performance. In fact, we were close enough to feel the warmth from the fire! 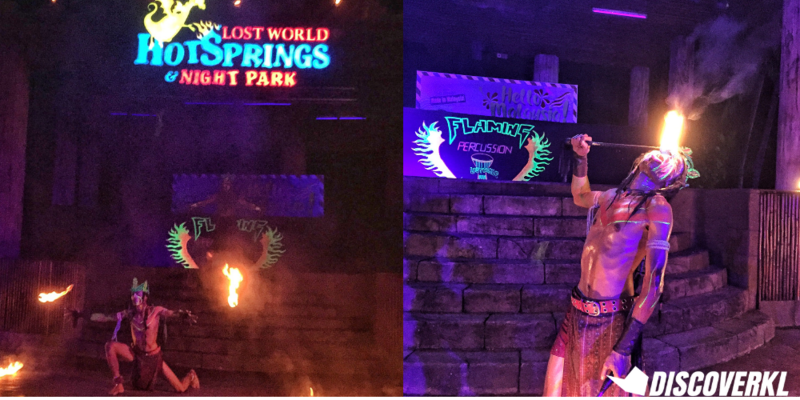 Fun fact: these fire breathers are actually forest rangers by day. Next morning, we left to the entrance of the park and had breakfast at the Garden Terrace. 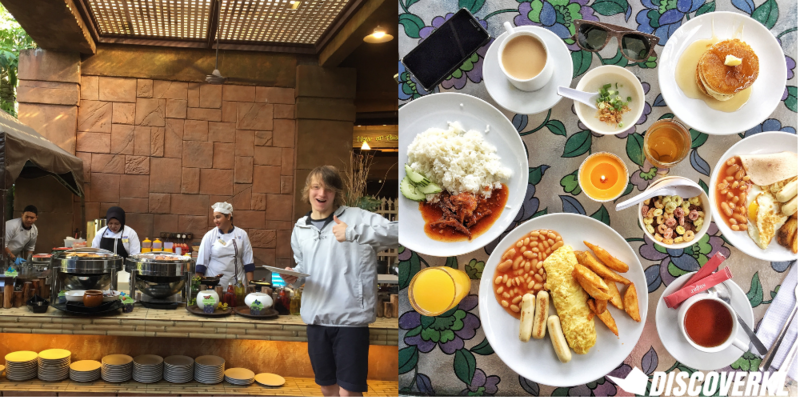 When we arrived, we satisfied our appetite with the variety of food at the buffet station. There were different stations set out on a long table and meals ranged from a salad and fruits bar, a cereal station, a noodle station, a chapati station and even a nasi lemak station. There was also a pancake and omelette station where you can request for your chef to make your eggs just like how you’d like it. The food was amazing and we even went for seconds. Plus, with a long day ahead, we knew it was wise to fuel up. 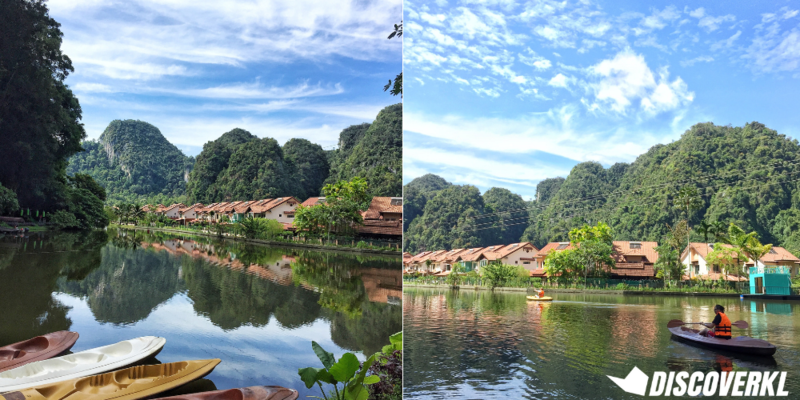 Just like the previous day, where we went to the haunted house to burn carbs, on Day 2, we went kayaking instead. Mind you, it was most of our first times kayaking and we struggled a lot in the beginning. Later on, we got the hang of it and we couldn’t get enough of it. It was really a carb-burning activity and we powered across the lake, ending up with arms that burned the next day. The breathtaking nature backdrop made it all worth it though. After we freshened up and packed, our hosts took us to explore their new feature of the park: Back of The House Tour. 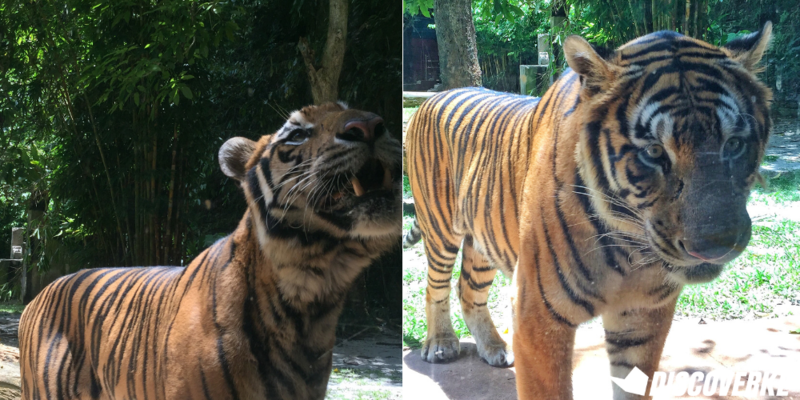 Basically, it is a short informational tour about tigers and how they are taken care of. Our tour guide brought us to a section of the zone where they keep tiger fossils of Sultan, a deceased tiger. We were told that Sultan lived a good life for a tiger and now two of his cubs are grown tigers in the petting zoo. These creatures are huge and ferocious but if you don’t aggravate them, they won’t harm you either. 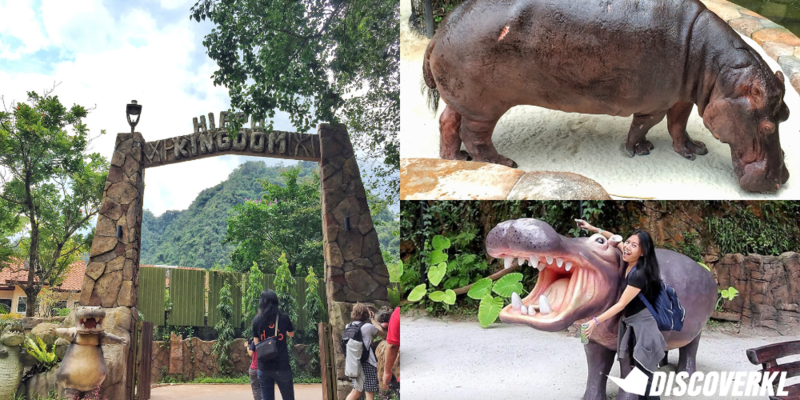 There’s plenty to explore at Sunway Lost World Of Tambun and what we had was just a taste of what the theme park has to offer. If you’re looking to discover the park on your own, you’re in luck. Like the DiscoverKL Facebook page. Tag a friend that you’d like to bring with you to Sunway Lost World Of Tambun. 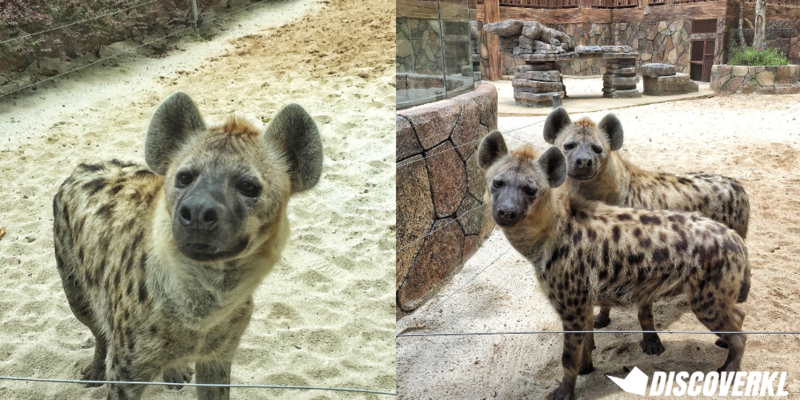 Share this article on Facebook with the caption #DiscoverKLxSLWOT and state the name of the spotted hyenas we encountered at the theme park! * Winners will be announced on October 5, 2018. * Do note that tickets are on a self-collection basis only and you MUST be able to collect the tickets from the DiscoverKL office in Subang Jaya. * Tickets are for adult admission only and are valid from October 1, 2018-March 31, 2019. Hours: Mondays, Wednesdays-Fridays: 11am-6pm, Saturdays-Sundays: 10am-6pm, Closed on Tuesday, except for school & public holidays.